I have a new skincare regimen thanks to this series, and honestly? My skin couldn't be happier. Three fabulous products have made their way into my life and I really don't know how I've lived without them until now. Check them all out after the jump. Mario Badescu Alpha Grapefruit Cleansing Lotion ($45 at mariobadescu.com): My skin has been looking a touch on the dull side lately, so I was incredibly happy when this product fell into my lap. Lemon, grapefruit and seaweed extracts combine with aloe vera gel to make skin GLOW. Simply pour a bit onto a cotton ball, swipe across your skin, and you'll be amazed at the difference in just a matter of days. My pores have never been cleaner! Bobbi Brown Vitamin Enriched Face Base ($50): I was suckered into loving this product before I ever even tried it, thanks to the gorgeous packaging. I love the black lid inlaid with a signature crest, and the shape of the tub is so unique. But once I actually patted this divine grapefruit-and-geranium-scented primer/moisturizer to my skin? My life was changed forever. Shea butter hydrates and softens, Vitamin A Complex and carrot extract minimize fine lines and wrinkles, and Vitamins C and E protect against environmental damage. Best of all, my skin is completely refreshed and healthy-looking. 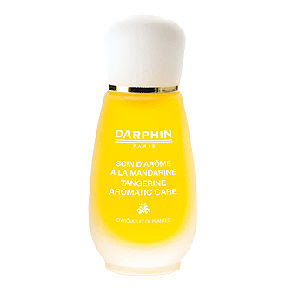 Darphin Tangerine Aromatic Care ($70 at beauty.com): My new favorite part of getting ready for bed? Definitely this beautiful little bottle. After opening, I breathe in the aroma of zesty tangerine and then pour a dime-sized amount into my palms. After warming in my hands, I very gently pat it into my skin. 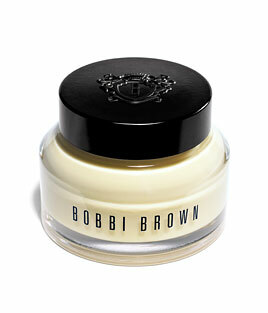 It does leave behind a greasy finish, but actually ends up imparting a glow that lasts into the next day. My skin has never looked fresher. Disclosure: These products were furnished by PR representatives for the respective companies for possible review.